Sunday saw the return of the Seamons CC Family Bike Ride. Most of the club has been on the usual Sunday morning jaunt and were now out as a group enjoying their favourite pastime with their nearest and dearest. Wives, husbands, children and Grandchildren met in Dunham Massey to get muddy along the Transpennine Trail and then off to the Rope and Anchor for a drink while the kids played. I love the TPT. I use it often to commute up to work and we are very lucky to have such a long well maintained traffic free track to use in our area. However, it doesn't come without its drawbacks and these were very much highlighted on our Family Bike ride with my club. My first section is very overgrown with nettles. If I take H down here either in his pushchair or the bike trailer, his face gets stung. This is my first obstacle. 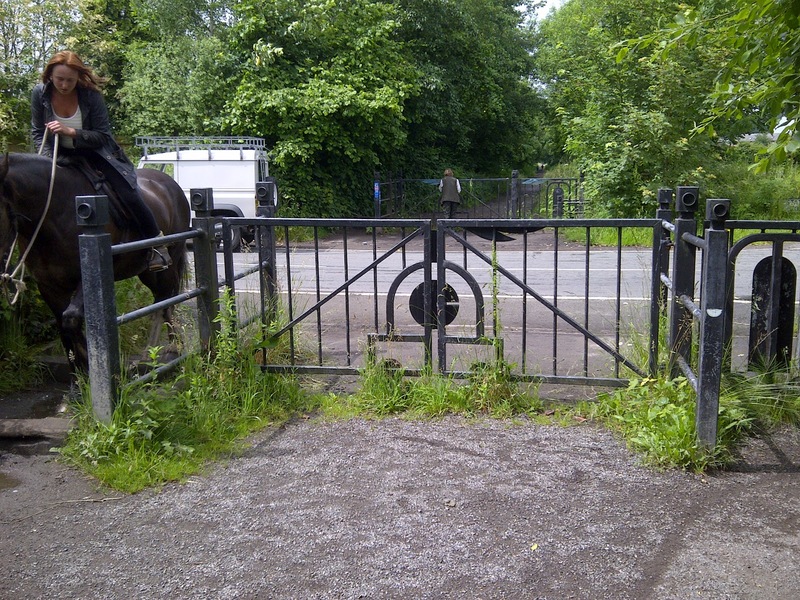 A kissing gate onto the new estate. It had been broken and someone had taped it shut to prevent it banging. This prevented the RADAR lock being undone to allow the gate part to swing completely open. 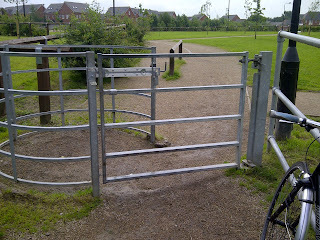 Thankfull after a few emails badgering Trafford MBC they have fixed it. Bingo, we can pass though here complete with trailer. So on I go. About a mile along I actually get to the Transpennine Trail in Altrincham. Here is where my problems start. 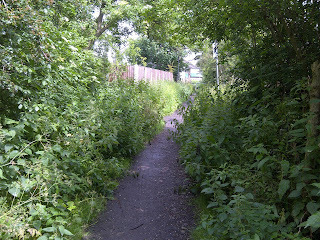 And this is the part of the Trail that Trafford are responsible for. So once I have negotiated this. I ride for about a mile and a half and I reach the car park where our family ride started. This has a tiny gate through onto the trail. You can just about fit a person through it. Sadly my picture doesn't show the scale, but needless to say, you couldn't get a wheelchair through and you certainly cant get a trailer through. The lock could so easily be changed to a RADAR key! A short distance along after the car park, we get to the Rope and Anchor. A lovely pub, but be warned, you may need to sell a kidney to eat there. This is my most considerable foe. A double set of gates. Once past these, I am freeeeee!!!!!! Miles and miles and miles of trail with only the odd A-Frame through Warrington to slow me down. But I can get through these. They are wide enough at the bottom to allow you to negotiate them with a single trailer. They also are fine if you are on a tandem or with a tagalong. So why oh why cant Trafford use these?????? 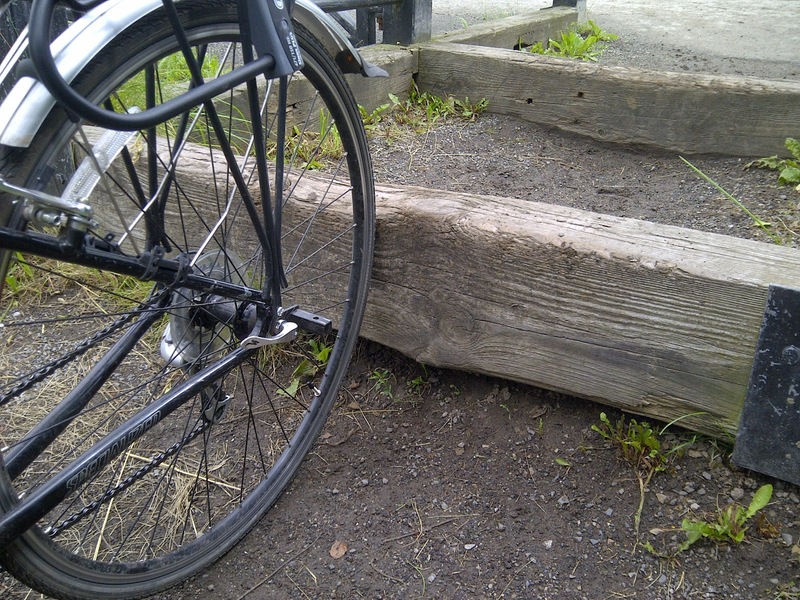 If you are a wheelchair user, would you let me know if you are able to get through these sorts of barriers? I have complained via twitter to Trafford who say they're looking into it, although I have heard nothing since. 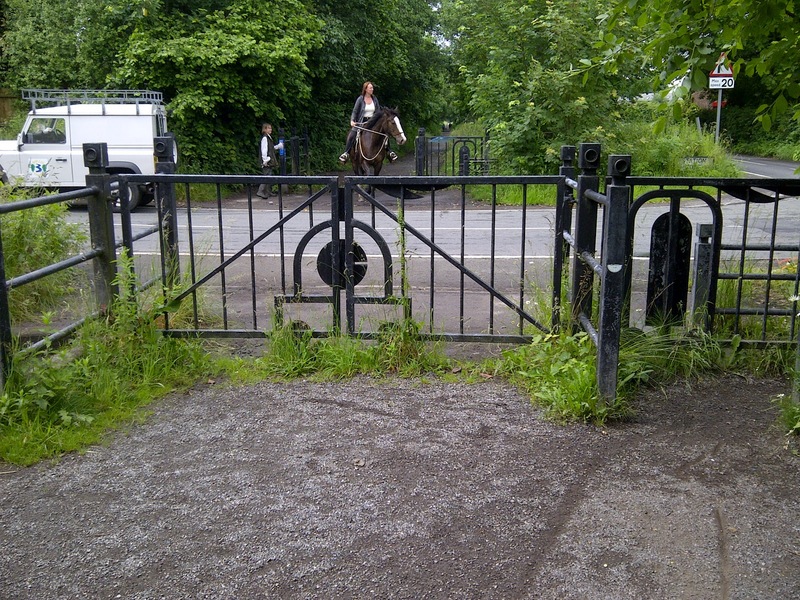 I also have a couple of councillors and Slater Heelis Solicitors in Sale have kindly offered to look into the legalities of the Trafford barriers. No please don't ask for "A" frames. They stop trikes and other larger machines. 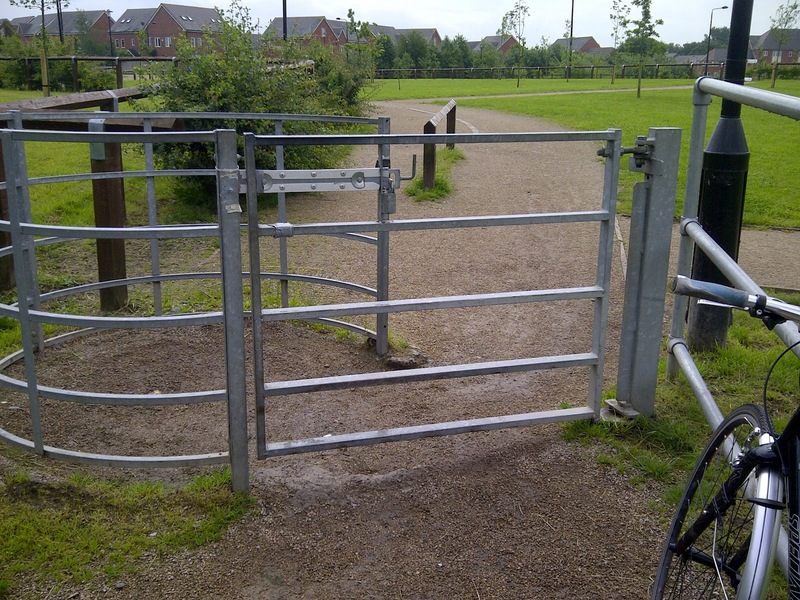 These barriers quite frankly shouldn't be there. 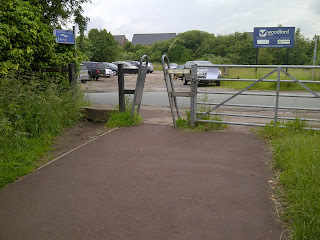 They also don't prevent motorbikes getting onto the trail http://madcyclelanesofmanchester.blogspot.co.uk/2012/05/motorbike-barriers-dont-work.html. Its a good point Mike, and the main reason for my blogging about the whole situation was I was always sure there were other people being held up but I couldnt always see who or how. Someone recently said to me that the single best way to stop anti social use of the TPT was to encourage more social use. 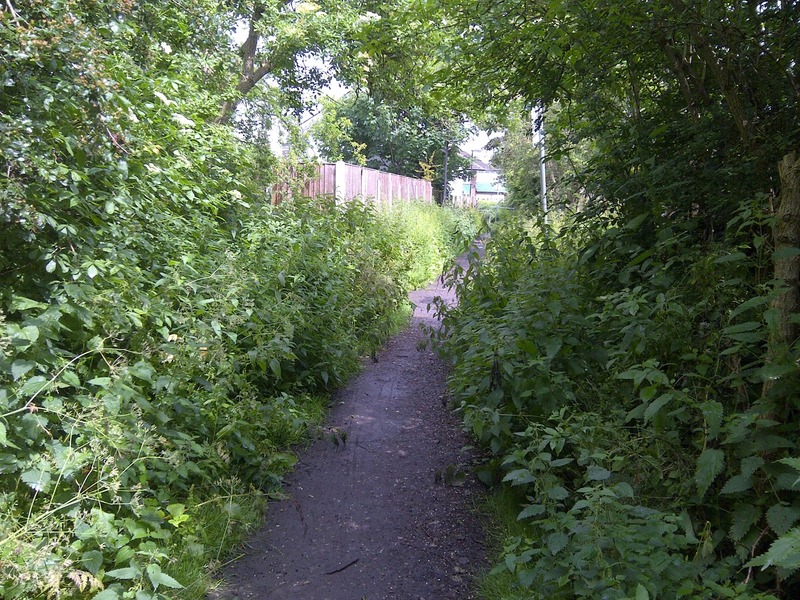 It is when these facilities are unused that antisocial behaviour tends to occur and if more or us lawful users are on the trail, there will be less unlawful people wanting to use it. Lets get rid of all the barriers I say! Many of the A-frames are just a little too wide for the mountain-bike style handlebars on my hybrid to get through. If I'm on my own I can twist the handlebars at an angle and slide the front wheel slightly, but I have a top-tube mounted seat for my daughter, and that makes things very tricky. I often end up carrying the whole affair over the horse step, but with 4-year-old and fully laden rack, it's a bit of a weight. 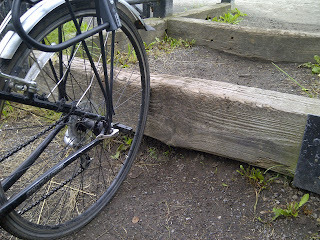 Anyway, ridiculous to essentially deprive wheelchair users of access. Thank you for taking the time to document this. Tim, I had back surgery just over a year ago, lifting anything over those steps is not an option for me. Nor should it be. Places like the TPT should be completely accessible to everyone. 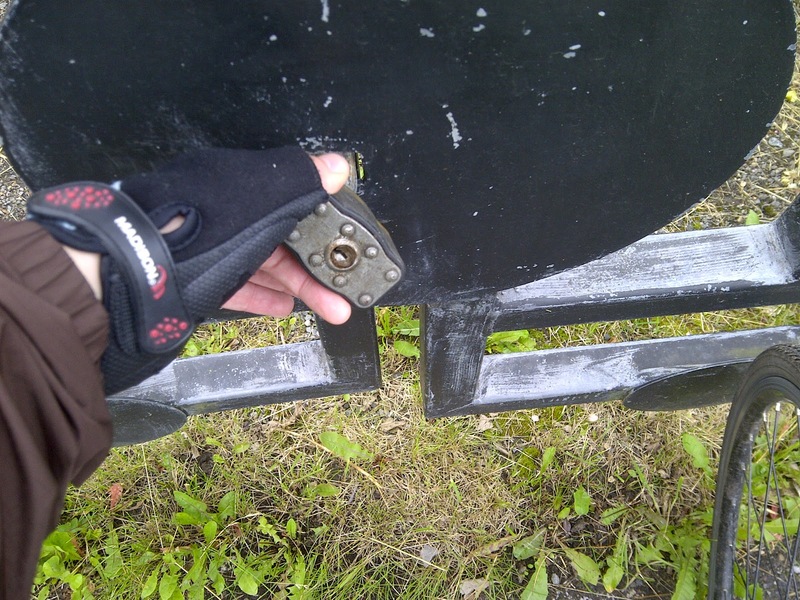 It is only by doing this, that we increase legitimate use and stop people using it with off road motorbikes etc. who is entitled to a RADAR key anyway? Only disabled? I've just come across this post - thanks for taking the time to write about this. I use the TPT for commuting and leisure, and have always disliked the barriers to access. I'd guess they are there to stop motorcycles being ridden on the trail, but I come across lads on trials bikes pretty frequently. I'd be up for making some sort of concerted request to Trafford Council to get these things shifted (maybe through Seamons CC? 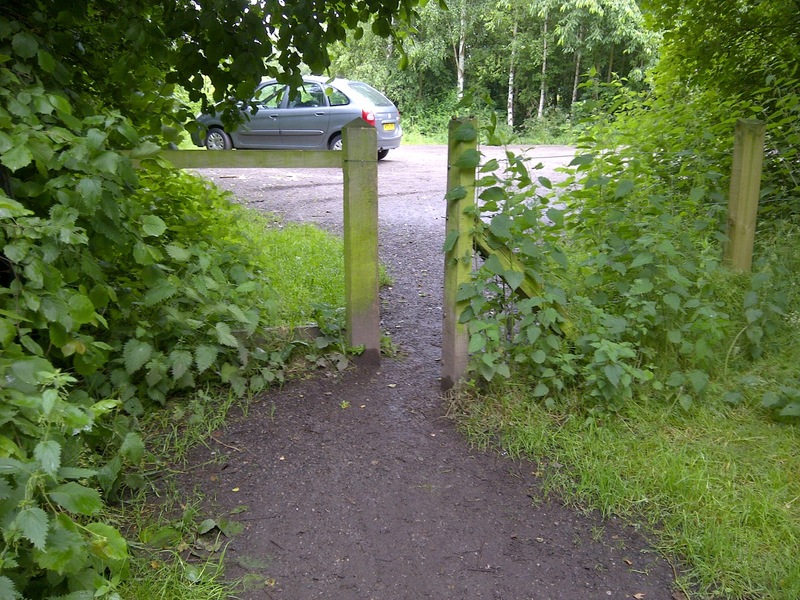 ), or at least modernised so that the trail can be used for its intended purpose. 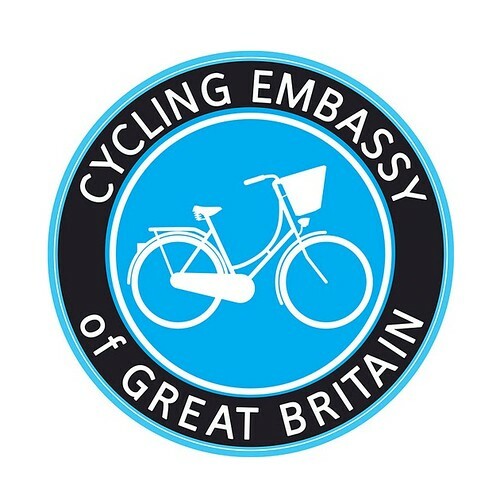 My daughter's just starting to ride without stabilisers, which is making me more aware of things that discriminate against able bodied adult cyclists using facilities like the TPT.